Cat Zip Alliance (CZA) was officially formed on January 15, 2007. It is a nonprofit organization with 501(3)(c) tax exempt status. Cat Zip Alliance/Campus Cats is an all-volunteer group with no paid employees, so you know your donations go directly to covering vet care, food, and supplies. Our broad mission is to promote humane and effective community cat management through our Trap-Neuter-Return-Monitor (TNR), barn cat, and adoption programs in order to keep community cats out of animal control facilities. On a smaller scale, we care for the community cats that live on and adjacent to University of Georgia property every day. 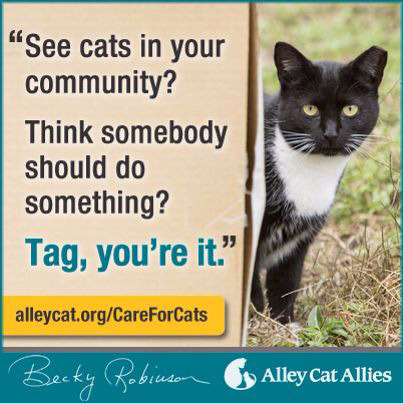 On a larger scale, we loan out traps, conduct TNR workshops & trapping training sessions, and provide the resources someone might need in order to manage community cats in their own backyards or place of business, serving Athens Clarke County and surrounding counties in mid- and NE Georgia.